If you’re asking, “How much does a plastic pallet cost?”, chances are you’re considering making some decisions for your business and supply chain that aren’t very cost effective. That’s not because there’s anything wrong with plastic pallets; in fact, they’re the best kind to use when it comes to reducing your total cost of business (TCOB). Plastic pallets are extremely durable and strong, and they’re much lighter than reusable wood pallets. They’re recyclable, they reduce product damage, and they cut transportation costs. Choosing plastic pallets is a smart idea. It’s choosing to buy them that’s not. 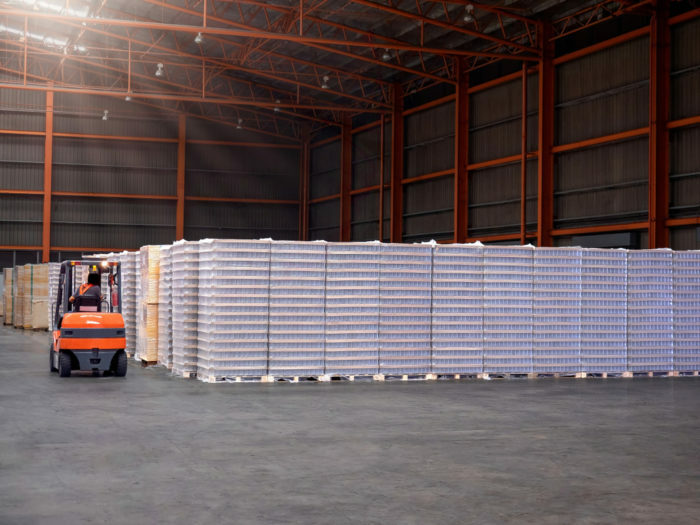 The average plastic pallet will cost somewhere around $100, and that’s not including the maintenance and other costs of keeping a fleet of pallets in use. Renting plastic pallets instead can reduce supply chain waste and cut your TCOB overall. Pooled plastic pallet providers let you outsource many of the problems with pallet fleet management, saving your company money. We’ll break down how this works below. The basic outlay of money required to purchase a fleet of pallets–and molds and machines if pallets are being custom-made–is just the start of what it takes to maintain that fleet. It’s crucial to consider the indirect costs of pallet ownership as well. Maintenance: Despite the durability of high-quality plastic pallets, after many trips through the supply chain a plastic pallet may require cleaning, maintenance, and repair. Over time, they will also be damaged beyond repair and need to be replaced. Transportation: Pallets used in transporting goods to retailers need to be collected after use and returned to the warehouse or manufacturing facility. This increases the cost of transportation overall and creates additional administrative hassle and complexity. Availability: Choosing a great pallet for your company’s internal pool isn’t enough; you’ll also need to make sure that pallets in good condition are available for use in the right place, at the right time–every time. Storage: Companies that maintain their own pallet pool require large areas for storage of these pallets when not in use. Pallets stored indoors take up valuable space which could be used to store products and equipment. 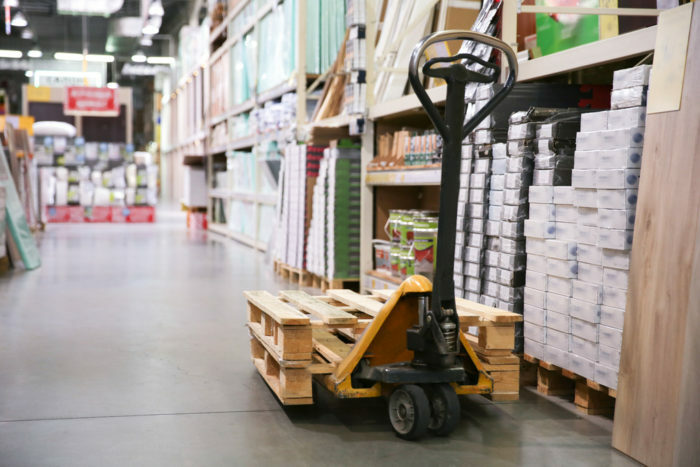 Labor: Pallets are frequently moved from place to place in the warehouse to make room for more essential items. This process can contribute to higher labor costs, as employees must dedicate time to transporting non-essential items through the facility. Many managers see an internal fleet as the only way to ensure they always have quality pallets available when they need them. A fleet of pallets is an expensive investment, but many managers see an internal fleet as the only way to ensure they always have quality pallets available when they need them. However, there are better options for your pallet supply. One effective method is to replace an internal fleet of pallets with pallets rented through a pooling service. Pallet pooling resolves the issues with internal pallet fleets by allowing a company to rent their pallets instead of purchasing them. Pooled pallets are issued, used, and then picked up by the leasing company at the end of the supply chain. This frees up your resources for more important tasks than tracking down idle pallets at end retailers and orchestrating their return. Pallet pooling also cuts out the cost of the purchase of pallets, as well as their maintenance, ensuring your company always has a sufficient supply of pallets that is fit for use at all times. When a high-quality pallet reaches the end of its useful life, the pooling provider should recycle it into another pallet. Not only does this save on disposal costs, but it’s also more sustainable, as it reduces waste in the supply chain. When asking “How much does a plastic pallet cost?” it’s critical to remember there’s more to consider than upfront cost. Using a pallet pooling service also saves space on the warehouse floor, making it unnecessary to store large numbers of empty pallets in preparation for peak season. Instead, the warehouse manager can request pallet inventory on an as-needed basis, maximizing warehouse space for product instead of pallets. When asking “How much does a plastic pallet cost?” it’s critical to remember there’s more to consider than upfront cost. Companies looking for the best solution to their pallet needs must also think about how future pallet maintenance, storage, and transportation costs will impact their bottom line. Plastic pallet pooling is an attractive solution for those who want access to a fleet of high-quality pallets without the expense of managing one. iGPS provides plastic pallet pooling for anyone who wants to cut down on pallet fleet costs while still using the highest quality platforms available. Our program offers significant savings for businesses looking to reduce unnecessary expenses in their supply chain. To use our service to cut pallet expenses, contact us at 1-800-884-0225, email a specialist at switch@igps.net, or visit our contact page.